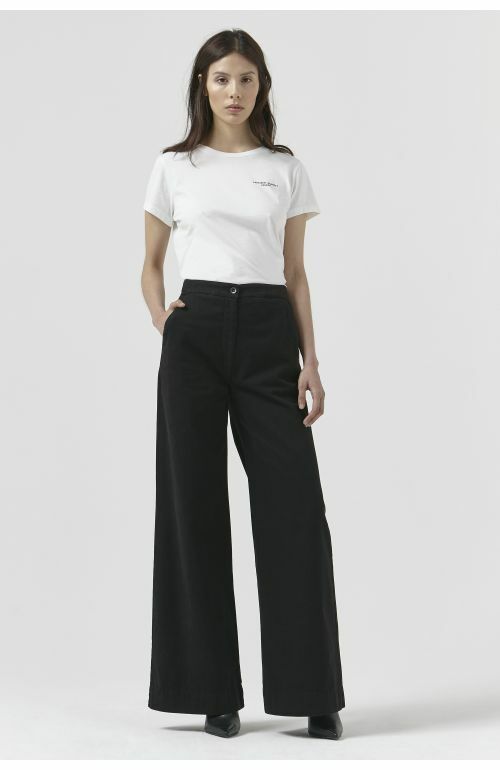 Katharine Hamnett London Teresa Medium Wash Organic Cotton Jeans featuring high waist fit, 5 pockets, palazzo fit. Made in Italy. 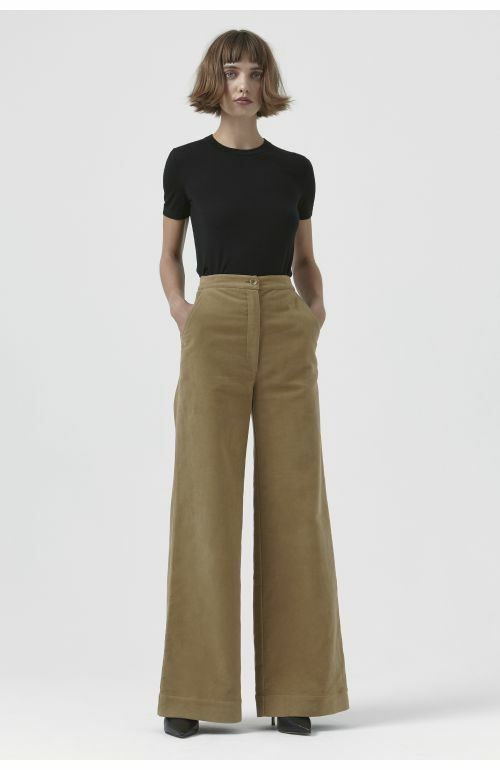 The model is 5'9.5"/176.5 CM and is wearing size 27. 98% organic cotton, 2% EA comfort denim.